Enough of snow foxes and cute birds… and after a rich thick slice of a Christmas cake disaster, it’s time for a rich thick slice from the other side with this old chestnut. A very happy holiday celebration/Merry Christmas to all of you lovely, WordPress people and readers everywhere. Charlie touched his brown-rimmed glasses knowingly, and his freckles crinkled as he marched down to the garden’s borders. He loved how delicate and austere it all looked at this time of year but remembered from school how birds and other small creatures found it difficult to find food – he contemplated eking out worms and other treasures just for them. His smiling eyes were soon agape when he reached the hole in the deep, green hedge his father took pride in. Charlie decided to follow a walk of unusual footprints leading off to the street, which was paved with gold – Christmas gold. The huge, blacklead, street lamp shined golden yellow onto a neighbour’s decorative efforts. They had gone to town with sled, reindeer, Santas and lots of glittering sights and sounds. His mind was still on the tracks though and the puzzle they presented. Charlie’s jaw dropped at the magnificence of next door’s sled where he noticed similar sized prints and more right beside their giant Santa with a glowing red and white smile, and which had a pneumatic wave for everyone. Charlie knelt down and checked under the sled and then inside of it whilst holding onto his specs, moving them up and down in inspection mode, whilst murmuring the occasional ‘aha’, but he could see noting really. He scratched his head with stiff cold fingers and rubbed his cold red nose, wiping the drips on his new scarf, saying an apology to Aunt Mildred for the mess. He clapped his padded hands together before they clasped behind his back and a shudder took him into high-speed detective work. He decided to sit on its large leather seat to shelter from the snow falling once again. The sled began to move slightly, making Charlie feel a bit uneasy, but that soon went as he soon became enamoured of the blue-black sky and the twinkling stars above the white dotted sky. The gentle snowdrops became a whirr. From out of nowhere, a booming laugh and bells shrilly rang out behind him before sounding all around. Charlie’s short-lived, nervous excitement was tinged with longings of the warmth of home, his mum, the Christmas tree and just about any familiar things. But, on the other hand, maybe that was Santa. Was it Santa? Charlie’s eyes were drawn to the sled floor and the tiny prints, which had reappeared. He pushed his glasses onto his nose, pulling back fast when he noticed a small creature on the seat beside him. Charlie smiled at its furry paws though they were dirty and wet with very ragged nails – he was anything but cute. Charlie’s smile was met with a scraggy, dark face and crooked, menacing teeth that dripped saliva, and which had turned the sled floor, a greenish yellow. Charlie’s heart sank, together with thoughts that his companion might be a Christmas elf, and so he held onto his red scarf from aunt Mildred and smelled his mum’s mince pies on his glove, which also bore some squished crumbs. Charlie, the grotesque elf and ‘Santa’ were carried into the freezing night’s blizzard – bells ringing, gruesome laughter abound. And Charlie, at least, was never seen again. I’m copying Dorinda Duclos and re posting a Christmas favourite of mine and hijacking the lyrics – influenced by ‘The Little Swallow’ Carol of the Bells composed by Ukrainian composer Mykola Leontovych in 1914- Re written, and loosely based, this is what I got. дякую (thank you). let sleep the flickering candle’s yawning. soon the night will warm your dreaming. for the daylight crisp below. nestle there ’til winter’s still. shivering stars their arms are open too. joyous little creature of our dawn. ‘Tis the season to care… More from the Dodo Express Action Against Man-Made Extinction. The holiday season is a time of togetherness, warmth, celebration, and for some–shopping. Too many of the gifts that we buy leave a long trail of environmental degredation between their origin and the recipient. It doesn’t have to be this way. 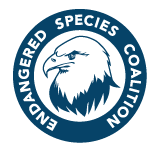 Support the Endangered Species Coalition while buying sustainable gifts this holiday season. All of the items offered for sale at WeShop.org have been chosen with a careful eye for natural ingredients and sustainable materials. And 60 percent of the profits from every sale go directly to support the work of Endangered Species Coalition. 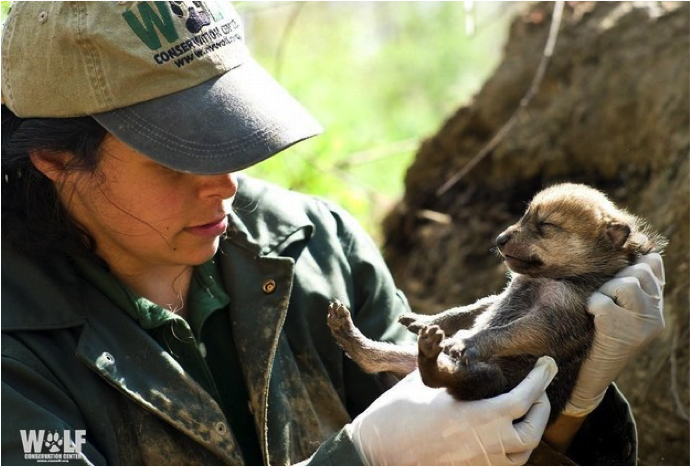 The gift you give has less negative impact on the planet, and that you are helping to keep species like wolves, grizzly bears, and endangered fish and plants safe into 2017.